2017 Capitol Radio Group Bridal Show in Springfield at the Crowne Plaza. 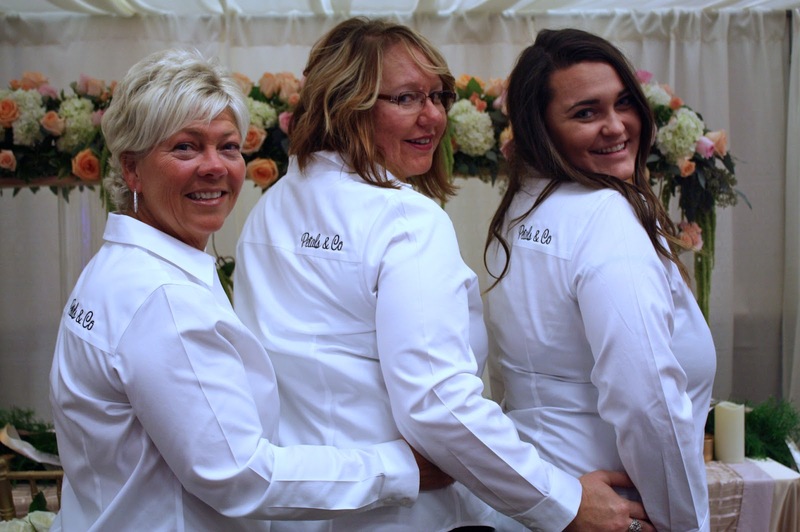 We had a great time visiting with all of the brides and helping them with their wedding plans. Along with our booth we designed 30 different bridal bouquets for the models to carry and at the end of the show we gave them all away to the brides in the audience! 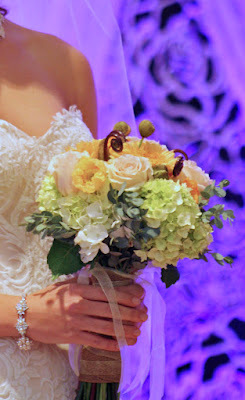 Katherine carried a beautiful over sized crescent shaped bouquet with an organic feel. 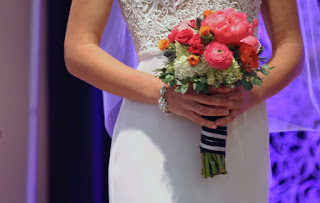 The bouquet featured David Austin garden roses along with Dahlia's and Scabiosa. 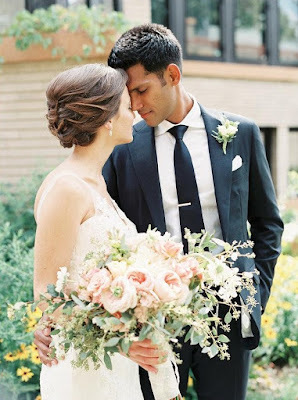 She married Kiram on a beautiful summer day at Long Bridge Golf Course in Springfield, Il. 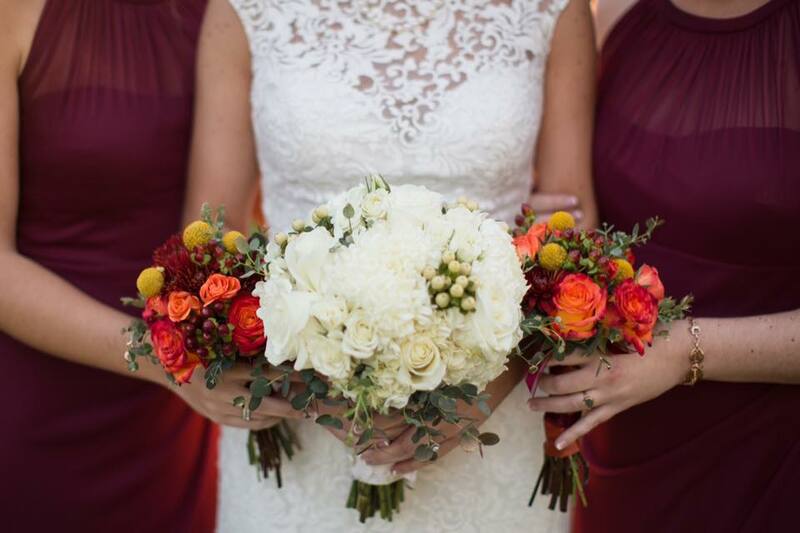 Thank you to our beautiful bride Emily for sending this shot of her bouquets! 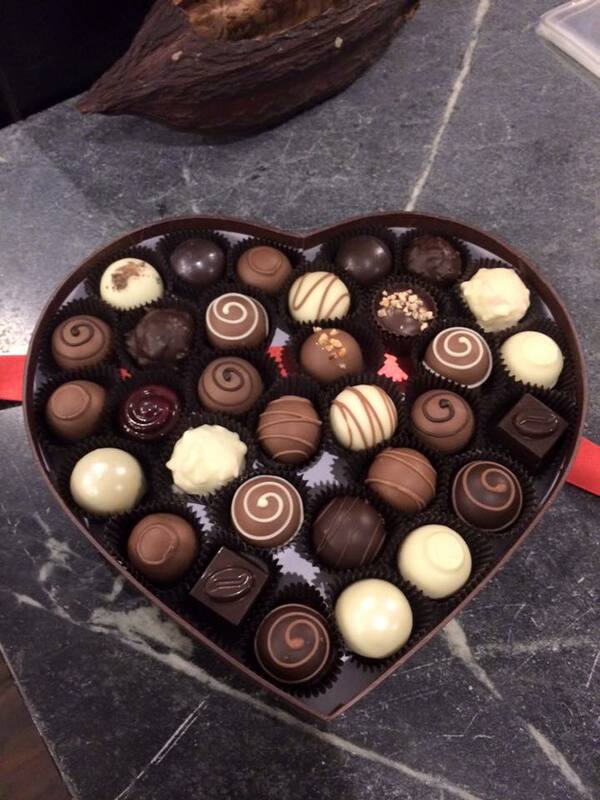 We had a great time meeting so many brides last weekend. 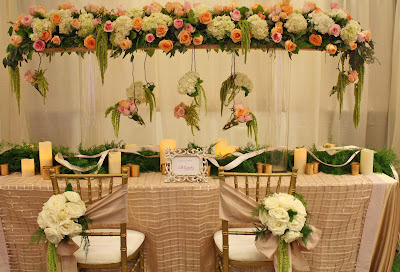 The booth turned out so pretty with the elevated design of hydrangeas, roses, and green draping amaranthus. 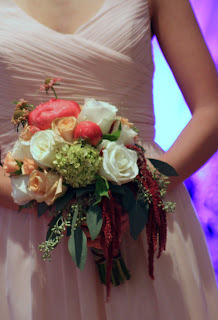 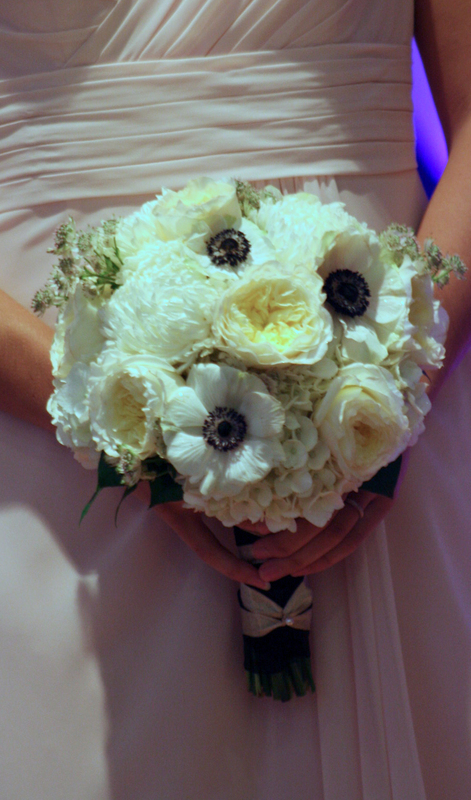 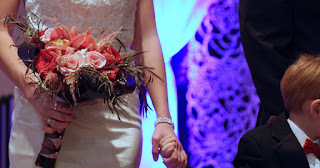 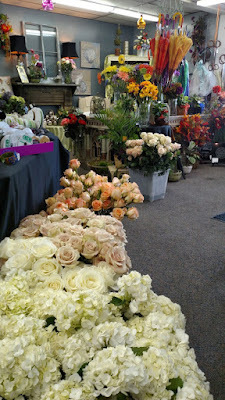 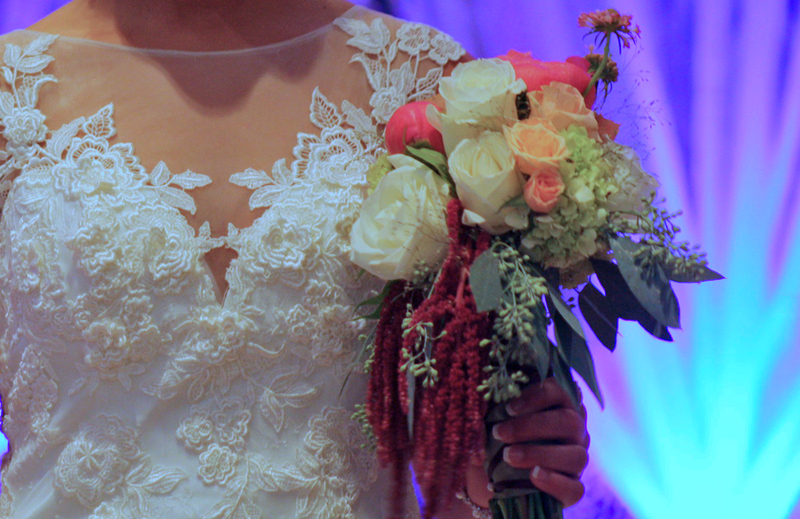 Check out some of the bouquets below. 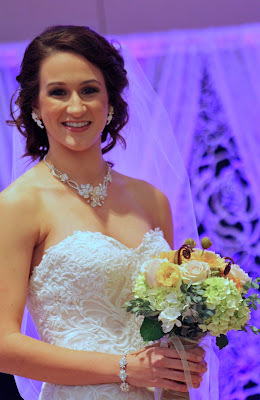 The models were gorgeous! And here's another gorgeous model, our own Abby! 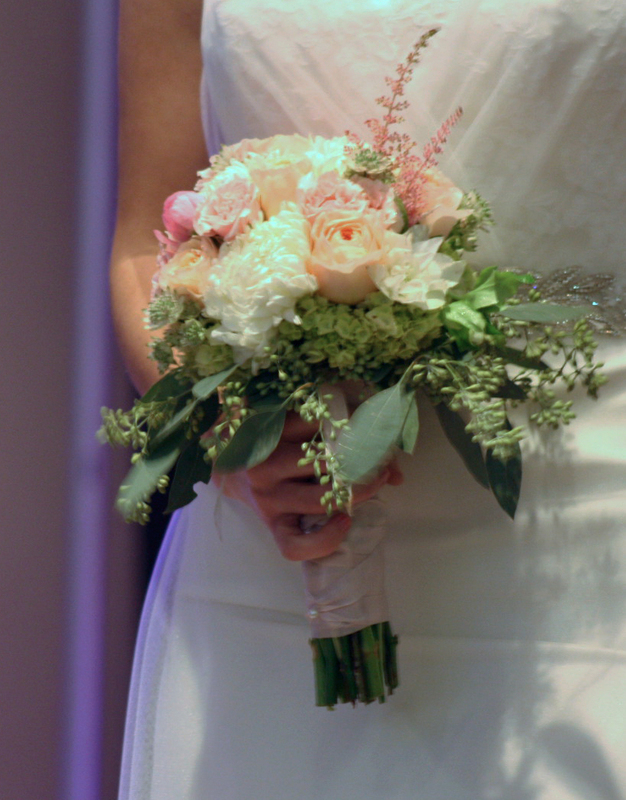 Thanks to everybody who came out to the wedding show. 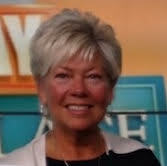 Michelle began designing in 1982. 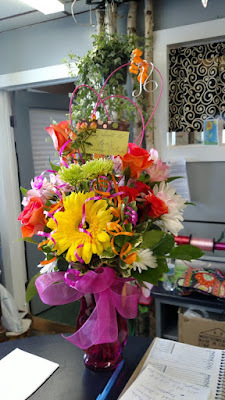 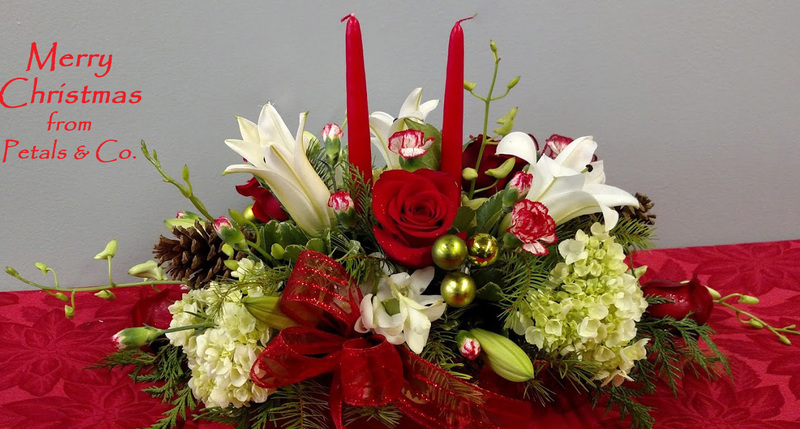 She opened Petals & Co's retail location in Rochester in 1997, which is a full service floral and gift shop where you can find selections for weddings, funerals, hospitals, and all your floral and gift needs. 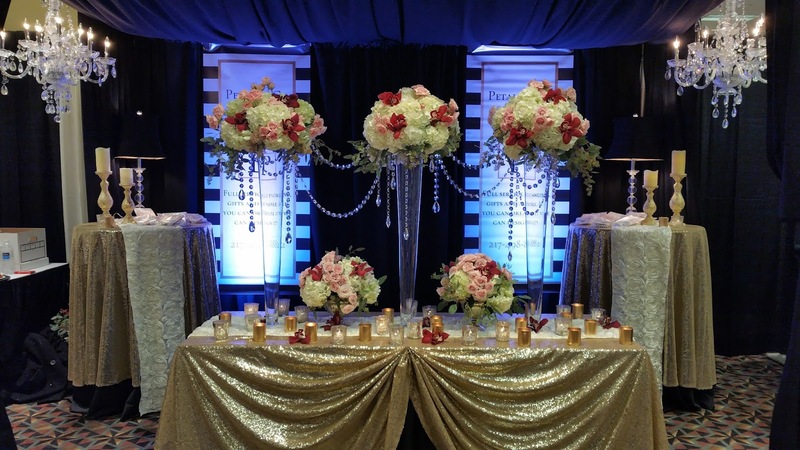 One of the highlights of Michelle's career was when she, along with two other local designers, provided the backdrop for President Obama's stage when he visited in 2009. 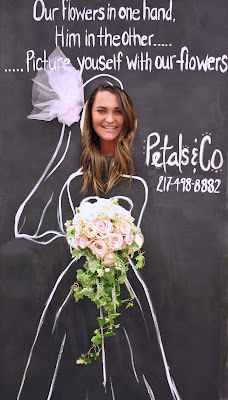 Michelle is especially proud of her wedding work. She feels blessed and honored to be chosen to be a part of such an important life event. 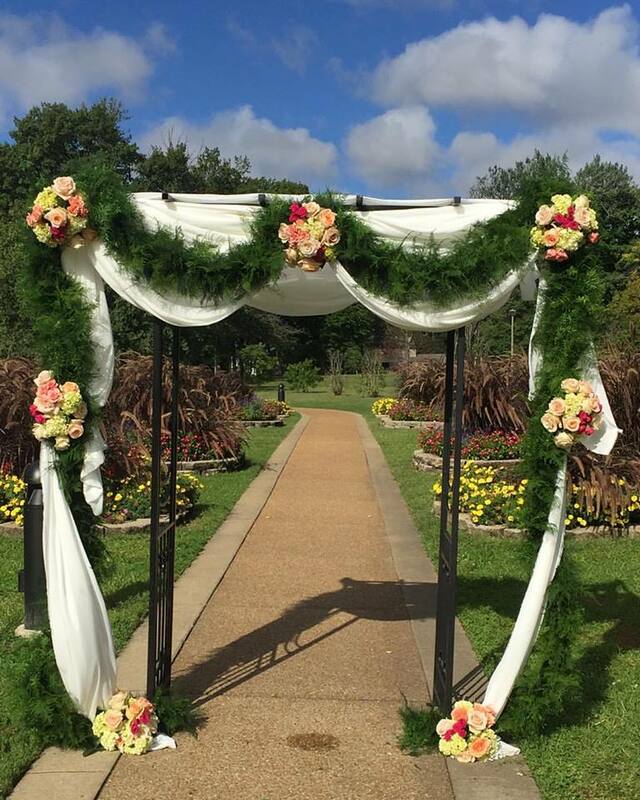 Last year Michelle and her team provided florals for over a hundred weddings and events.